We remember back in high school, in grade 10 - so about 1987 - they had one of those air band competitions, filled with the usual questionable top-of-the-charts pop. But one group of guys got up and did an air band to the Red Hot Chili Peppers' "Backwoods" that blew our minds. We ran out and bought Uplift Mofo Party Plan, and thought it was wicked. We suspect Jonestown Punch did the same (or, maybe even were responsible for said air band entry). 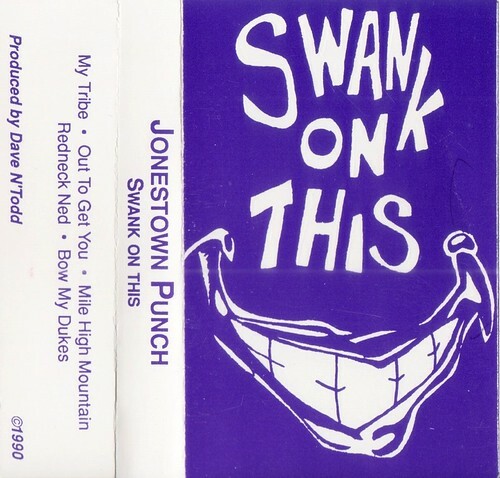 We remember Jonestown's great stage shows, and "Redneck Ned" getting piles of airplay on CJSW. Sadly, though - this hasn't aged too well. Wan't JTP self titled released on CD - cry baby cd? I took a course on how to be a music producer. 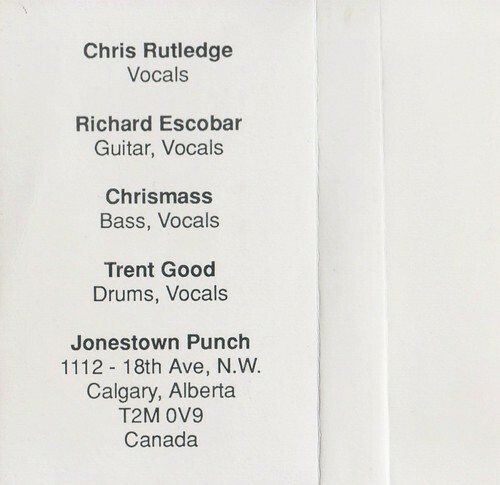 At the time we had studio time so I put up ads around Calgary for bands. They came in and I was one of the guys that helped record them and they went on to win CJAY 92's contest.